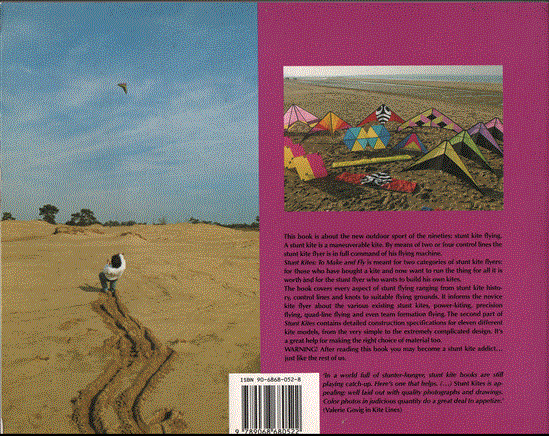 This book is about the new outdoor sport of the nineties: stunt kite flying. A stunt kite is a maneuverable kite. By means of two or four control lines the stunt kite flyer is in full command of his flying machine. Stunt Kites: To Make and Fly is meant for two categories of stunt kite flyers: for those who have bought a kite and now want to run the thing for all it is worth and for the stunt flyer who wants to build his own kites. The book covers every aspect of stunt flying ranging from stunt kite histo-ry, control lines and knots to suitable flying grounds. it informs the novice kite flyer about the various existing stunt kites, power-kiting, precision flying, quad-line flying and even team formation flying. The second part of Stunt Kites contains detailed construction specifications for eleven different kite models, from the very simple to the extremely complicated design. It's a great help for making the right choice of material too. WARNING! 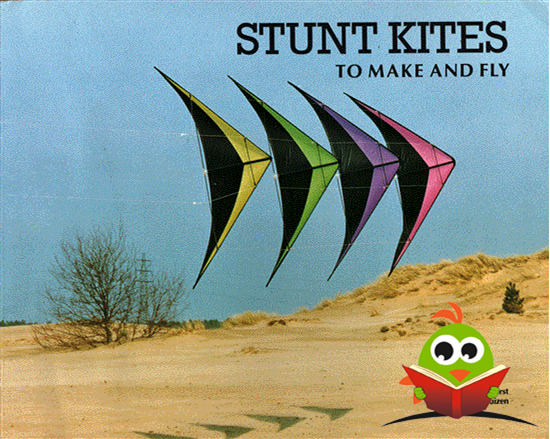 After reading this book you may become a stunt kite addict. . . just like the rest of us. Lichte leessporen. Er is niet in geschreven of gevouwen. Kaft heeft wat groeven, aan de randen iets gestoten. Onderzijde boekblok nog wat plakkerig van een sticker.